Quickly disconnect tube from bag for easy storage. Simply click in/out to connect/disconnect. Please do not contain juice and milk because it may influence the firmness of mouthpiece thus water leakage may happen. Please clean the bladder and tube with warm water before first use. Avoid contact with extreme heat/cold, harsh chemicals, UV light and sharp objects, these elements will damage the reservoir. 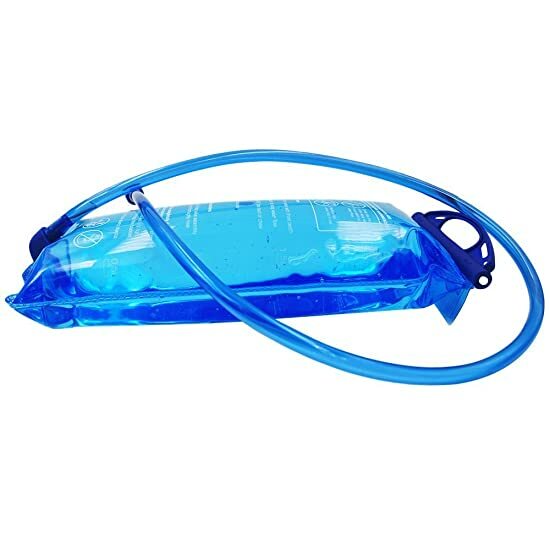 Please clean hydration system with cleaning kit after each use to expand the lifespan of the bladder and the tube. 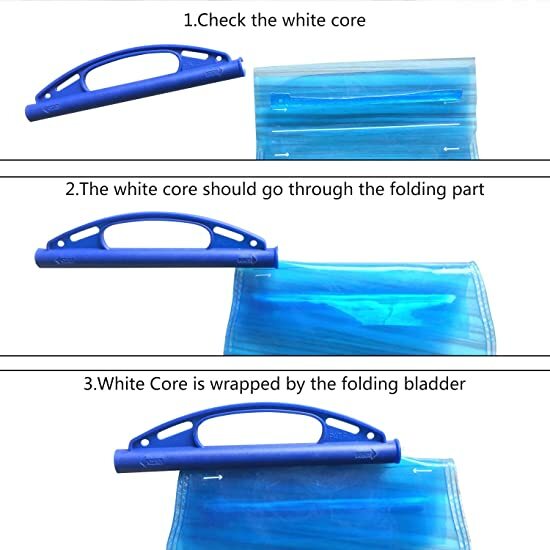 Make sure it is completely dry, inside and outside, before storing. 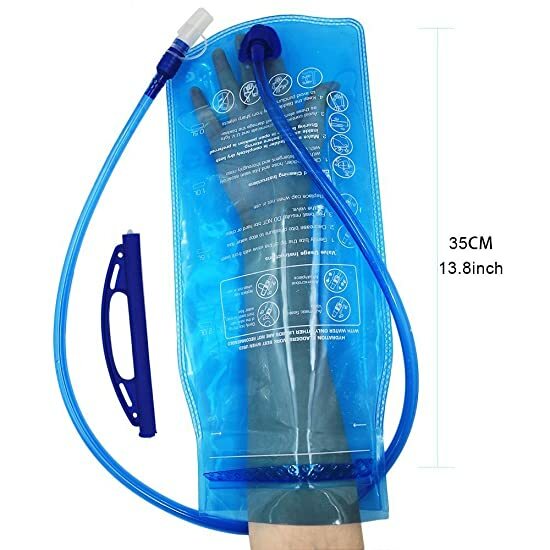 Easy to Clean Large Opening: Full open and sliding opening, water injection, cleaning and drying is easy to handle with easy access to interior, using a hydration bladder cleaner brush or hand inserted directly, both are convenient. Safe Choice: Each water bladder is tastefree, non-toxic, BPA free, and SGS + FDA certified. Food-grade BPA-Free and FDA Approved materials so there is no need to worry about any harmful chemicals in our products!Safe to drink! 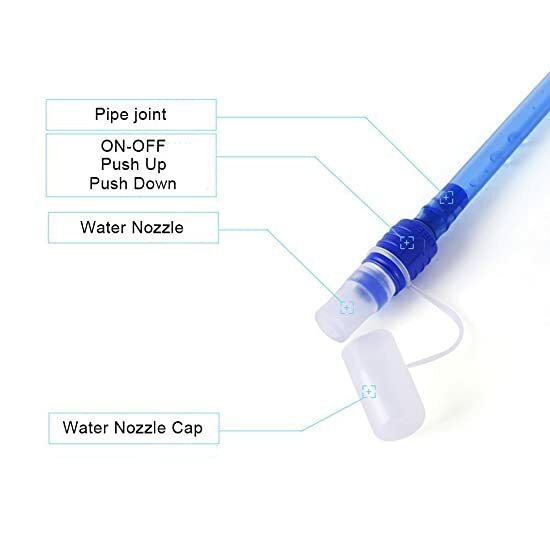 Auto-Locking Hose Connector:Tubes come with self locking attachments and quick release bite valves to ensure a leak free experience! with strong clips included to keep your drink tube in place. Slide off opening on the top of the bag makes it much easier to add ice cubes and clean! 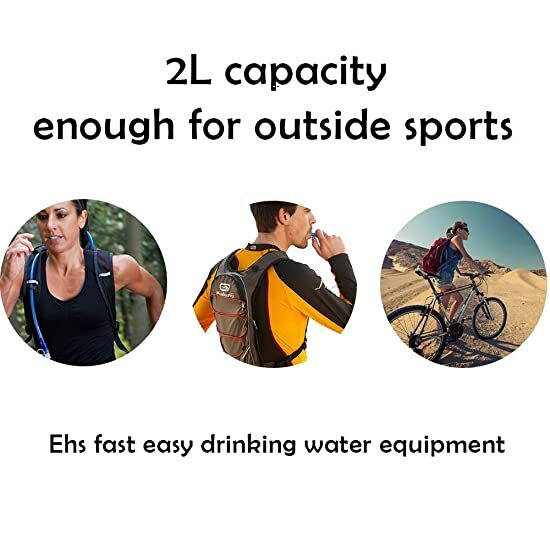 Outdoor Use:Fit 2 liters of ice cold water comfortable in any backpack and always never be left dehydrated with our water bladder. 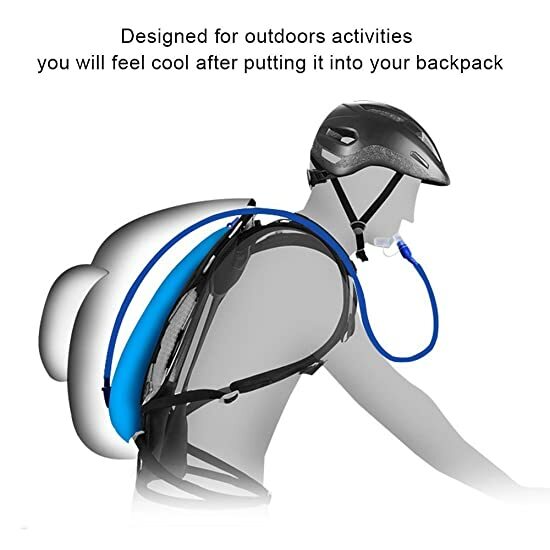 Excellent choice for outdoor enthusiasts who love biking, cycling, hiking, or running in the sun! 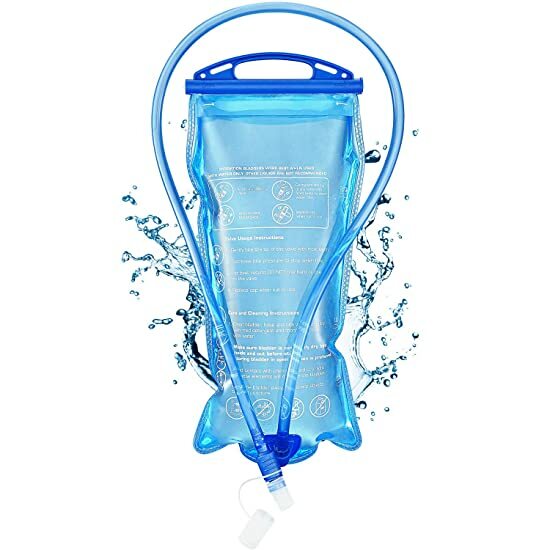 100% Satisfaction Guaranteed : Hydration Bladder has been rigorously tested and comes with a full lifetime warranty ,if you are not absolutely happy with your purchase for any reason, simply send if back for a full refund. No questions asked! !